Recently mentioned at Indygamer and announced on their forums, "Tormishire is an action RPG for Windows featuring a procedurally generated story." Now I've seen procedurally generated graphics, but when it comes to story I'm bit uncertain as to how that would come about. 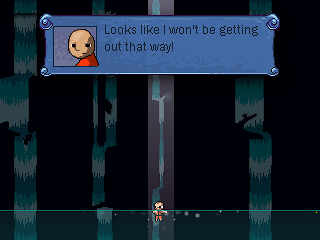 Nevertheless, judging from the artwork we're looking at a Within a Deep Forest meets Cave Story experience. And anything that may take its inspiration from those two games is exciting in my book. The release is still a ways off, sometime this coming winter (2007/2008), but I think I'll be keeping an eye on it. Check out the Tormishire website for additional cool concept art and screenshots.